According to ESPN, Odell Beckham Jr.’s one-handed circus catch in a regular season loss was a better play than Malcolm Butler’s goal-line interception in the Super Bowl. Now I understand that the Patriots are the most hated franchise in professional sports and people will do whatever they can to discredit them and take away from their accomplishments. Performing a sting operation called “Deflategate” in a hopeless attempt to taint Tom Brady’s legacy. People putting imaginary asterisks next to the Patriots’ Super Bowl wins and making absurd, illogical claims like “the Patriots have never won a Super Bowl without cheating” just because they can’t wrap their brains around the fact that their favorite team can’t put together two good seasons in a row while the Patriots have dominated the NFL consistently for a decade and a half. But of all of the unnecessary disrespect and under appreciation the Patriots have received despite their accomplishments, this might be the most inexplicable slighting yet. I get that Odell Beckham Jr. has joined LeBron James and Johnny Manziel as the athletes that ESPN likes to over saturate Sportscenter with, but you mean to tell me that a catch that came in a losing effort in the regular season for a team that didn’t even make the playoffs was a better play than an improbable interception by an undrafted rookie to win the biggest event in all of sports? 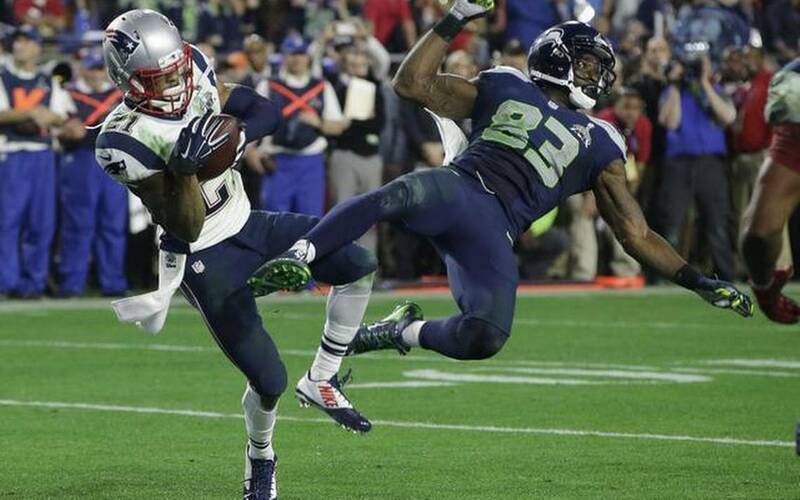 Malcolm Butler’s interception was not only the play of the year but one of the greatest plays in sports history. You can say I’m biased because I’m a Pats fan but if there is anyone out there that thinks this was the right decision then I would love for you to tell me why so I can humiliate you and expose your complete lack of sports knowledge. Everyone and their mother thought the Seahawks were going to win the Super Bowl when they were at the 1-yard line. Malcolm Butler took an entire fan base from depression to happiness in a split second because in the most important moment of his life he read the play and undercut the route perfectly. OBJ’s catch was impressive from a physical standpoint. That’s it. It held absolutely no meaning other than a spot on Sportscenter’s top 10. The Giants lost the game and their season was a lost cause. If you ask Patriots fans about the Malcolm Butler interception they will say that it was one of the greatest moments of their life. Ask Giants fans about the Beckham catch and they’ll say it was a great catch. They’ll also tell you that it doesn’t even come close to the David Tyree helmet catch a few years ago because nothing, and I mean nothing in sports is better than an improbable play to win the championship. I would say that ESPN doesn’t understand the magnitude of championship winning plays, but the Tyree catch won best play of the year at the ESPY’s so it’s clearly just anti-Patriots propaganda. We’ve said it a million times and we’ll say it again. They hate us cause they ain’t us.